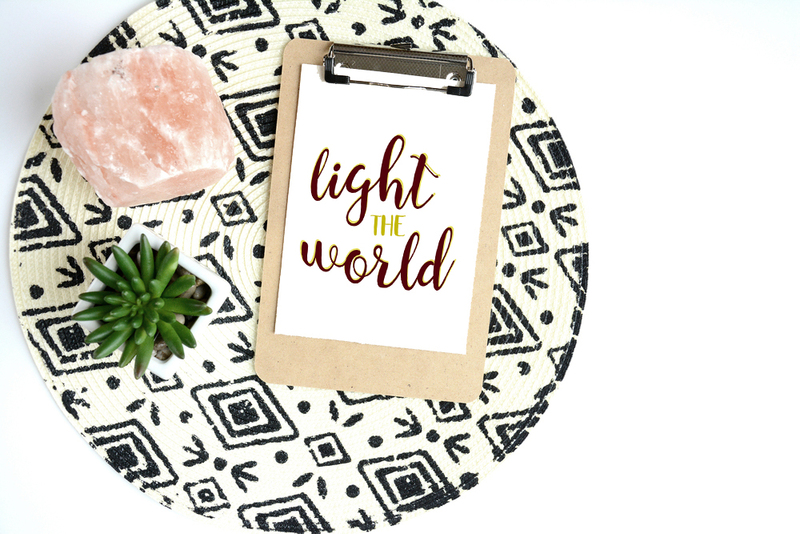 ' Light The World || Free Printable - Sisters, What! Christmas is a beautiful season. Full of giving, family, magic, and lights! I went through a phase in my life where it was all about getting what I wanted and giving the perfect gift. Then I went on a mission for my church and I didn't spend the season the way I always had. While there I was blessed to have a huge change of heart. I started to realize, actually remember what I had been taught all along. Christmas is all about the greatest gift we have ever been given, it is about the birth of our Lord and Savior Jesus Christ. 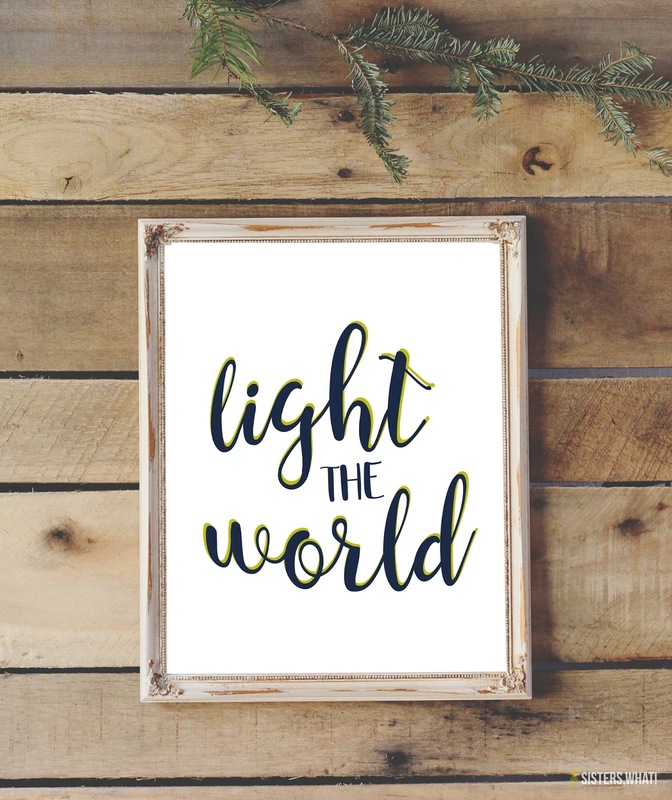 Which is why I am so excited to share these beautiful prints with you that Havalah made to kick off the season with a wonderful campaign called #LightTheWorld found here. It is a chance to really give this season. Give to others, give to those in need. Not just those who are physically in need, but emotionally too. To think of not what we will get, but what we will give and who we will serve in honor of our Savior. And the best part is it isn't just for Christmas day, but the whole month of December starting today, December 1st. Please join us for this wonderful opportunity to #LightTheWorld and really experience the true meaning of Christmas.